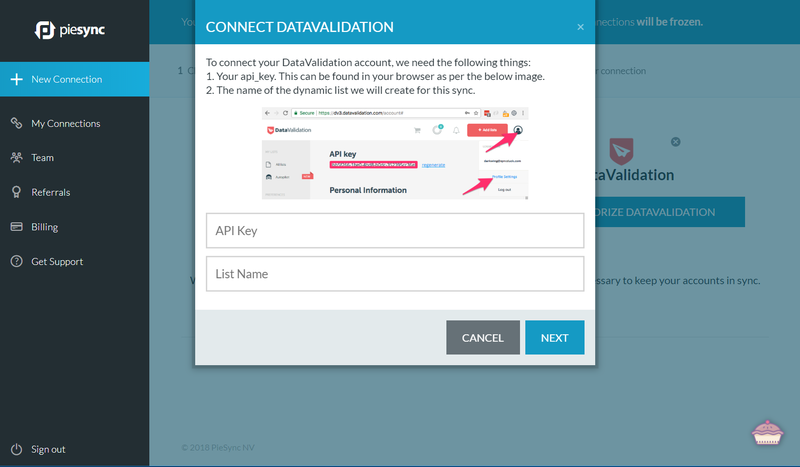 DataValidation sync connector helps users automatically validate bpm'online contact email in DataValidation service through Piesync, a service platform to share and sync contact details. Automatic sync of contact information allows you to import contacts email list from bpm'online to clean email lists quickly and effortlessly. Email checker will start analyzing your list and you will get verified emails for all contacts. easy configuration that requires no coding. ​$50 off any PieSync plan for bpm'online users! Check out PieSync pricing and plans! 1. Choose apps. 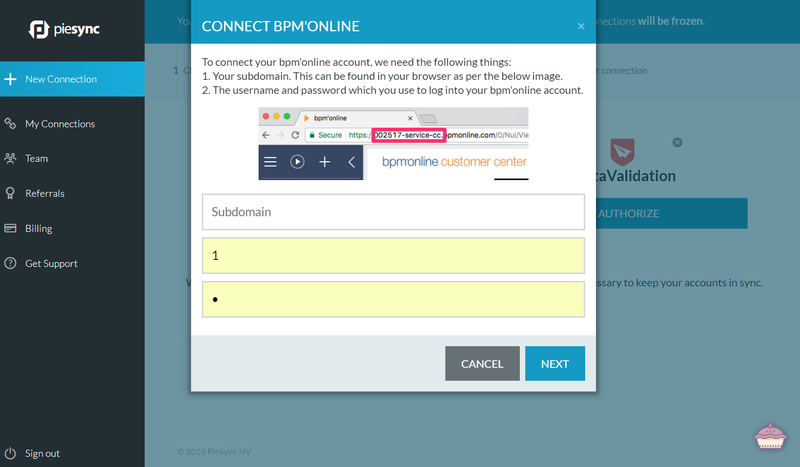 Sign up at Piesync , go to connection setup and choose bpm'online and DataValidation applications. 2. Authorize apps. 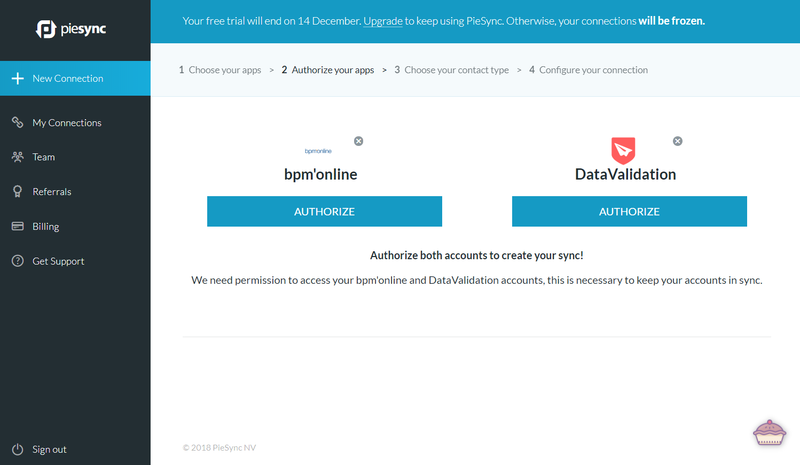 Click on the "Authorization" button and select your DataValidation and bpm'online accounts. 3. Configure syncronization. Select rules to sync contact between DataValidation and bpm'online. Setup connection settings and field mapping.